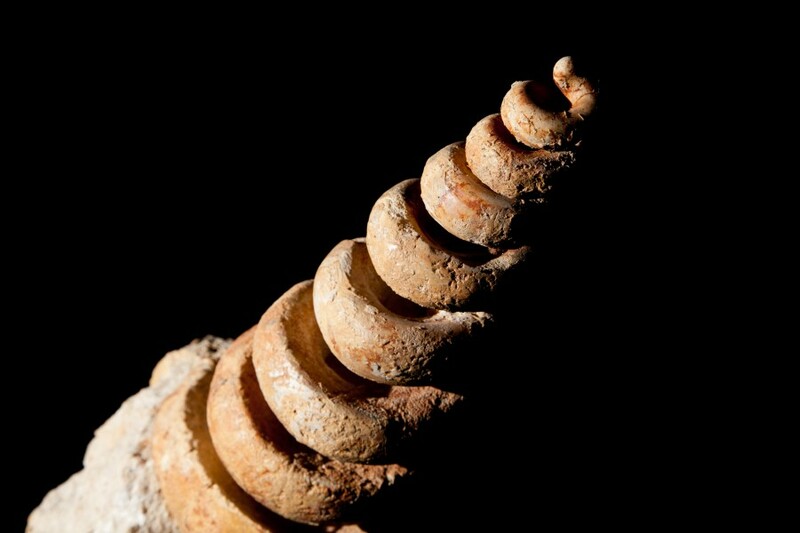 Freestanding giant Turritella from Italy. 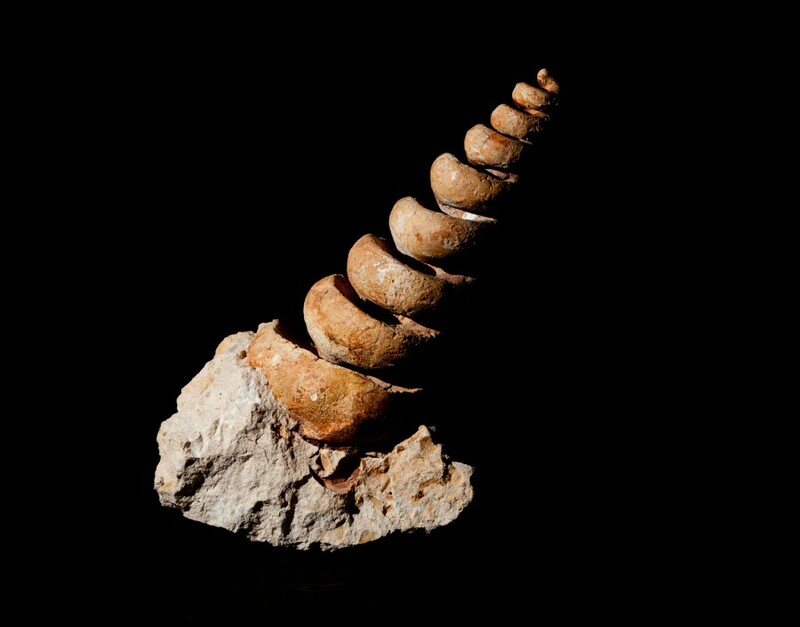 Turritella is a genus of medium-sized sea snails with an operculum, marine gastropod mollusks in the family Turritellidae. 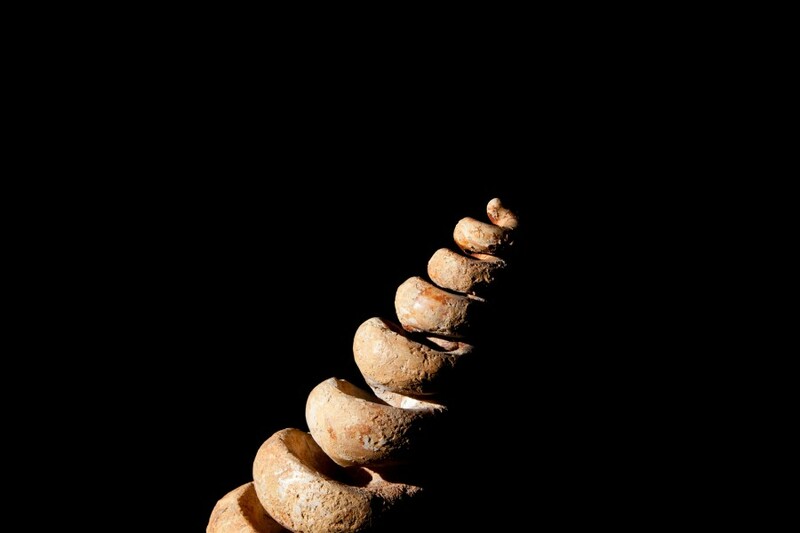 They have tightly coiled shells, whose overall shape is basically that of an elongated cone.